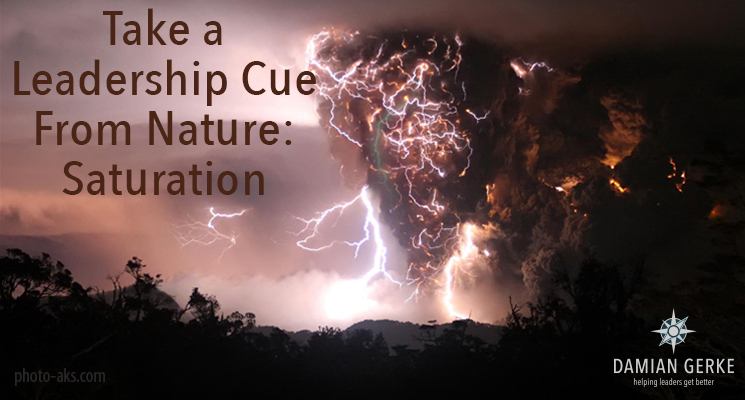 This is the seventh installment in an eight-week series called Take a Leadership Cue From Nature, using naturally occurring phenomena from the world around to illustrate how—if we’re not careful—we can let circumstances undermine our leadership effectiveness. In normal conditions, soil has gaps or voids that hold varying amounts of water and air. When rainfall is high for extended periods of time, water percolates into the soil and fills these voids all the way to the surface: saturation. After this point the soil can’t absorb any more, so any additional rain results in standing water (a nuisance and breeding ground for mosquitos) or flooding (potentially life-threatening). 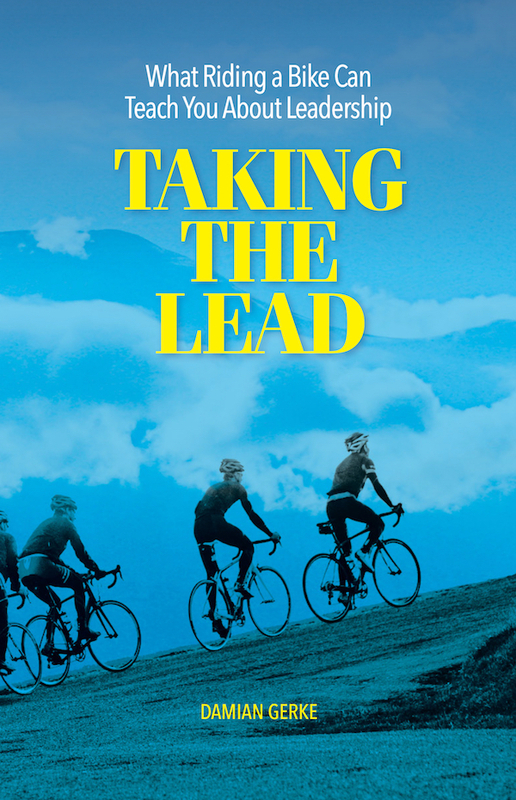 Saturation is a destructive condition for leadership, too. You can only absorb so many things (information, tasks and responsibilities, activity, etc.). Once you reach saturation, anything new moves to the wasted category. It either sits there or runs off onto someone else. And when you’re saturated everything that’s depending on you for nutrition gets root rot. Stay thirsty, but don’t drown. Getting “rain” is a good thing. You want to be continually refreshed; stay in a continual learning mode. But getting too much will, at some point, become not just unproductive but unhealthy. When you’re saturated everything that’s depending on you for nutrition gets root rot. Being saturated means you don’t soak anything in. You don’t consider, reflect, think critically, evaluate, compare and contrast, evaluate. Being saturated means you’re totally reactive and living on the fly. You’re very likely not listening; you’re not observing or looking beyond what’s right in front of you. You’re probably missing opportunities to make necessary course corrections. It’s tempting to try to fix saturation by being more productive and efficient; getting more done in less time. Productivity and efficiency are wonderful, but we must realize there will always be more stuff to do than margin to do it in. That’s why the focus is more than simply creating margin, it’s managing margin. You can clear out stuff on your to-do list, but if you’re not mindful more stuff will quickly flood in. It takes discernment; know what stuff you want to absorb, and what stuff you don’t. Productivity and efficiency are wonderful, but we must realize there will always be more stuff to do than margin to do it in. Remember, it’s a balancing act: Nothing grows in dry soil. But in saturated soil, most everything dies. It’s also about recognizing the seasons, and anticipating when you’re going to be deluged and when you’ll need to find additional new things to keep yourself in good shape. It’s a balancing act: Nothing grows in dry soil. But in saturated soil, most everything dies. Just as soils vary in their absorption qualities, so do people. How can you best identify your saturation threshold? What do you need to do to manage what you choose to absorb?